This project has provided vital Aleppo pine follow-up control at 22 sites to ensure seedlings do not re-establish . At the completion of this project, the long-term health and resilience of 44ha of native vegetation will be ensured. Members from the LEPMG, volunteers, school children and contractors have carried out the pine seedling control over the past 12 months, ending on 30th June 2013. See our Aleppo pine seedling control map here. The LEPMG has controlled over 100 Aleppo pine (Pinus halepensis) infestations on Lower Eyre Peninsula, where Aleppos were out-competing and displacing native plants. Follow-up control is essential and has been undertaken at all sites a number of times. This project has provided vital help to the Group to ensure sites are maintained. The LEPMG are very active on Lower Eyre Peninsula, not only controlling weeds but also building the communities capacity to identify and remove weeds through various media and hands-on events. Through this project, the annual Christmas Tree giveaway was undertaken in December, using de-coned Aleppo pine seedlings. 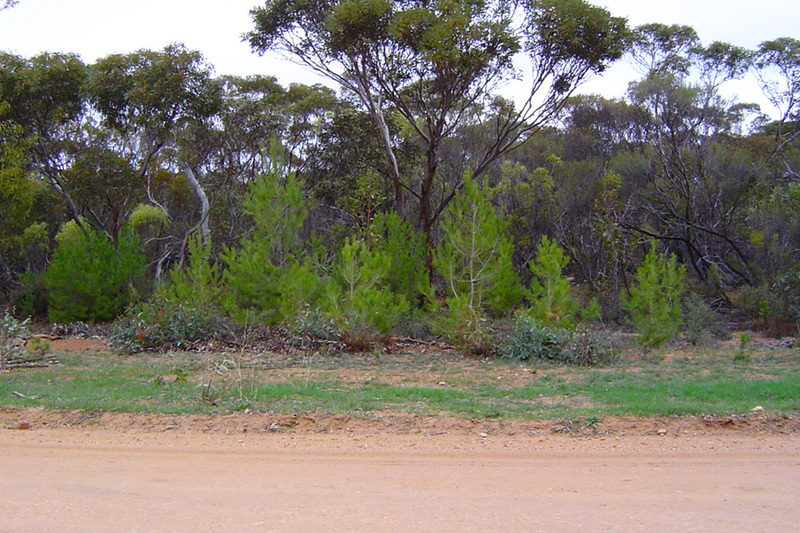 A weed swap with exchange of native seedlings is planned over winter and tied in with National Tree Day. If you are reading this, then you are looking at our up-dated website!